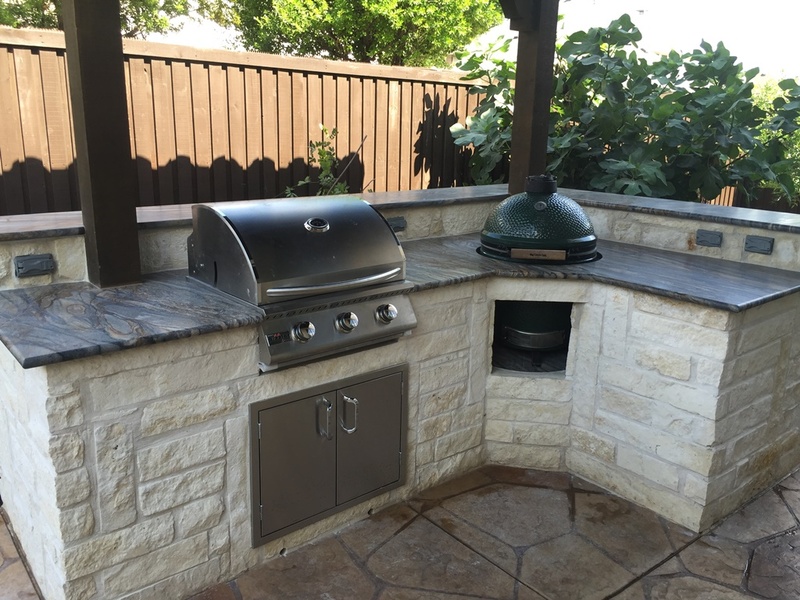 Scott Design & Construction - Outdoor in Kitchens Allen and McKinney Texas! Outdoor Kitchens can enhance the outdoor space by giving you a place to grill, gather and help frame the backyard space. Outdoor kitchens are not comprised of simply grills and a counter top anymore. We install smokers, green eggs, pizza ovens, coolers, warming drawers, fridge, ice machines, beer kegs, and much more. Our talented stone masons can create any shape or size of kitchen you may be dreaming about.